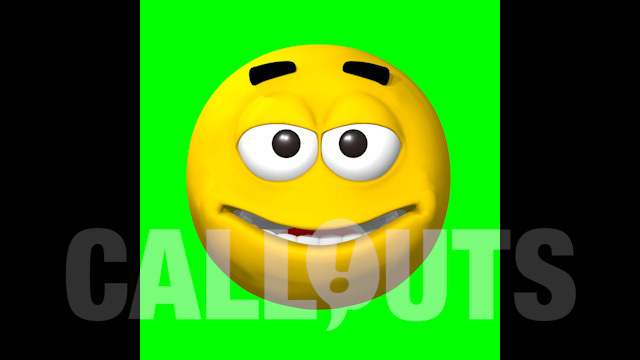 Animated video of a smiley, emoji, emoticon cartoon-styled 3D character on green-screen background expressing emotions and/or looking in different directions. Twenty different versions available, each starting and ending with the same expression and loopable, so you can combine them, mix and match and cut together. Green-screen background can easily be removed in most video editing software like Premiere, Vegas Pro, Camtasia, Magix etc. Still versions SmileyGuy (graphics) as well as a free SmileyGuy samples version (graphics) are also available.